This is a bit of a shaggy dog story, but a real one. Think of it as a headnote to a recipe I'd like to share so that you have something delicious to make for your Oscar Party this weekend. It's perfect. It's multi-culti, can be made two days in advance, and is terrific with ballsy red wine. Lots of it. After all, the Oscars are one long dinner party. Less than one year ago, I got an email from a stranger. It said "Chef Gold: I am fairly sure the subject dish featured in a recent Bon Appetit is not only the best thing I have ever made (in 40+ years of cooking), it may be the best thing I've ever eaten. Bravo! You deserve an Academy Award." That recipe was the subject line of Mary LeComte Bowler's email: Moroccan-Inspired Pastistio with Spicy Lamb & Cinnamon. 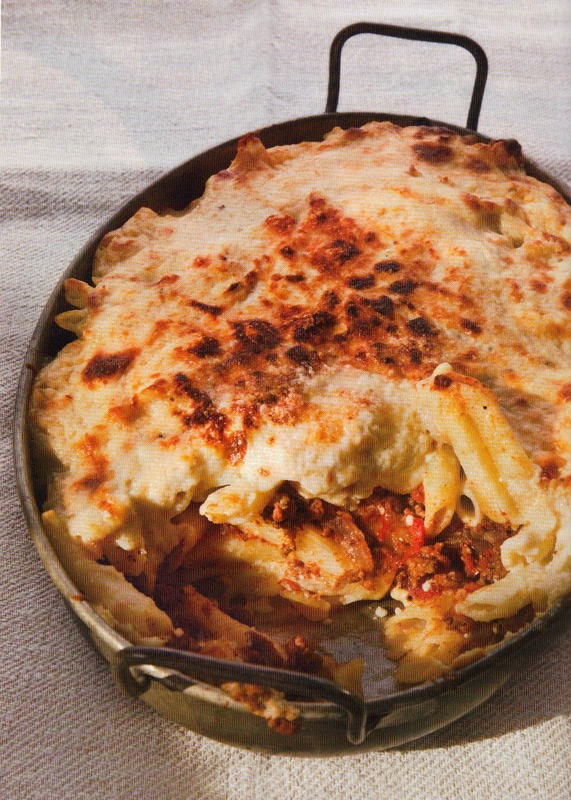 As a frequent contributor to Bon Appetit, I was asked to write a story about baked pasta. Ms. Bowler, apparently loved the unusual spicing and crossover flavors of a classic Greek dish morphing into a Moroccan one. I sent her a copy of my cookbook, Radically Simple to thank her. 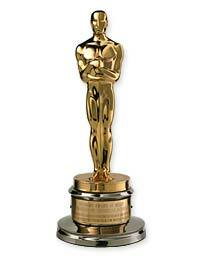 Less than a year later, it was Mary's son, Andrew, who was nominated for an Academy Award! He and his wife Gigi produced a short film called Time Freak for $25,000.00. They made it in four days. That's how long it took me to create this recipe! Anyway, Andrew and Gigi have a great story to tell and you can watch their wonderful interview on the CBS Morning Show just a few days ago. I dedicate this recipe to them and to Andrew's mother, Mary LeComte Bowler. Look for them early on the red carpet on Sunday. They'll be there. Enjoy the recipe and enjoy the show. Meanwhile, melt 6 tablespoons butter in a large saucepan over medium heat. Whisk in flour, and cook until golden, about 5 minutes, stirring constantly. Bring milk just to a boil in another saucepan. Slowly add hot milk to flour mixture, whisking constantly until smooth. Bring just to a boil, then simmer several minutes until thick. Remove from heat. Stir in feta, egg yolks and remaining cumin. Whisk 1 minute until yolks "cook." Season with salt and pepper.